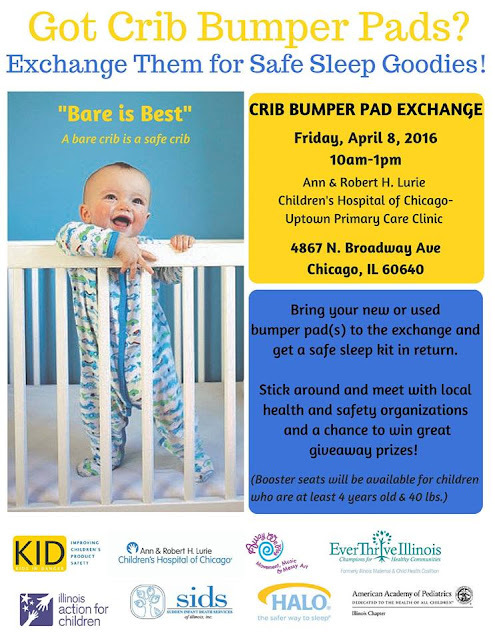 Illinois Action for Children is participating in a bumper pad exchange hosted by Kids In Danger at Lurie’s Children’s Hospital Uptown Clinic (4867 N. Broadway Ave) on April 8th from 10am-1pm. Bumper pads can cause suffocation, strangulation, and choking. 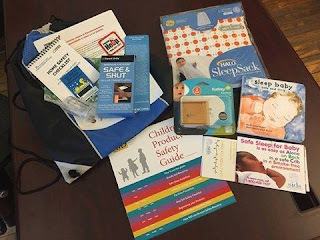 Remove these dangerous products from your home by exchanging them for a safe sleep kit.